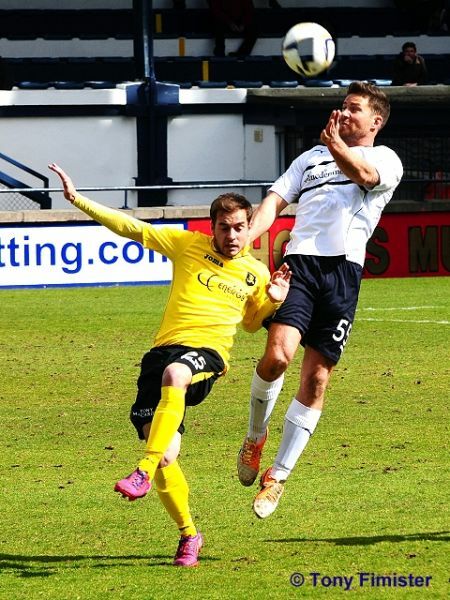 Livingston gave themselves a great chance of staying in the Championship, after another thumping win over Raith Rovers at Stark’s Park. 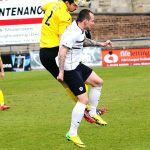 Three goals in the second half allowed Mark Burchill’s side to ease to a comfortable and merited 4-0 victory, a result which saw them move above Alloa to ninth, and just one point behind Cowdenbeath, as the relegation issues continue onto the final day. 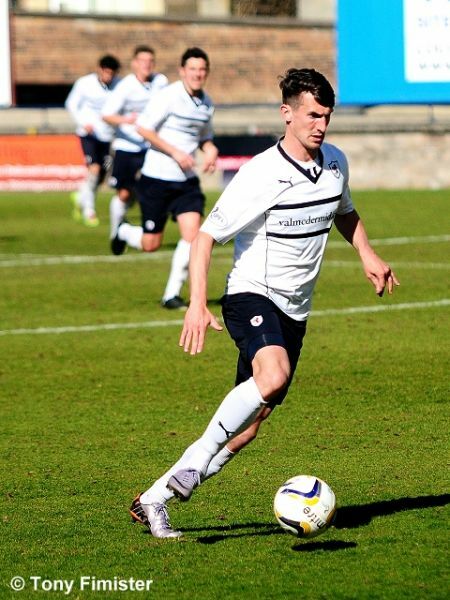 Raith manager, Grant Murray made one change from the side which lost 2-1 to Hearts at Tynecastle the previous weekend, with Kevin Moon’s place in the middle of the park taken by Liam Fox. With Livingston starting the match three points behind ninth placed Alloa Athletic and a point further behind Cowdenbeath, it was as close as you could get to a must-win-scenario for the away side. With that in mind, it perhaps wasn’t too surprising that they started the game with the bit between their teeth, after appearing from their pre-match huddle. 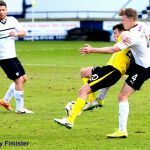 The Livi Lions were the first to threaten, when a low cross from Raith’s left, ricocheted off Scott Pittman’s shin and into Kevin Cuthbert’s hands. 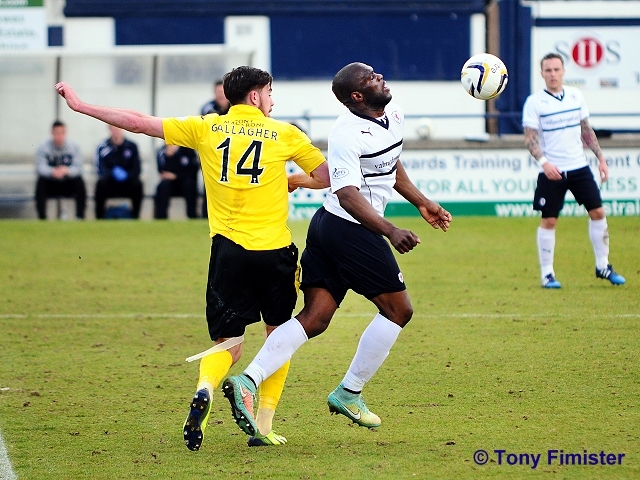 Whilst Livingston appeared to be playing with just one striker in Danny Mullen, he was being ably assisted by a trio of players behind him, with Myles Hippolyte on the right, Kaeghan Jacobs on the left and Pittman in behind, who appeared to be the central midfielder who was given the greatest amount of encouragement to get forward. 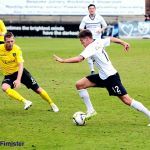 Not only was Livingston’s midfield five dominating possession in the early stages, their willingness to get forward, coupled with an ability play the ball at pace, was pinning Raith into their own half. So much so in fact, that Livingston won four corners in the opening few minutes, which were all eventually cleared with a fair degree of difficulty. At this point, the home fans weren’t getting a whole lot to get excited about, although Cuthbert’s sliced clearance which was blootered straight against the Railway Stand linesman did generate a raucous roar after five minutes. 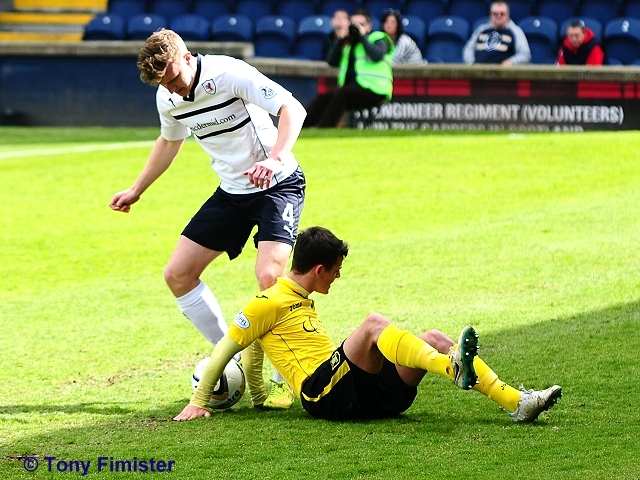 The levity was short-lived however, when Calum Elliot went down after a clash with Jason Talbot. Thumping the ground and clutching his leg, it appeared instantly to be a severe injury, although the match continued for a minute or so, before the physio was allowed onto play. 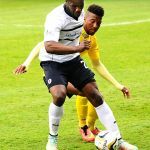 Unfortunately, Elliot’s injury was to serious for him to continue, and he was stretchered off with just ten minutes played, replaced by Christian Nadé. 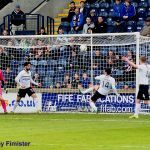 The flow of the match was still mostly towards Cuthbert’s goal, with Raith seeing sparse possession of the ball, and even when they did, there was little inventiveness or spark. As a consequence, it wasn’t a huge surprise when Livingston took the lead in the 20th minute, although there was some controversy around the goal. 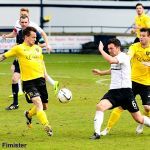 Livingston were awarded a corner which appeared to have come off a Livingston player last, but the anger of that award escalated further, when Callum Fordyce’s looping header was cleared by Ryan Conroy, although not before crossing the line according to referee, Kevin Graham. In the aftermath, Kevin Cuthbert was booked for his protestations. 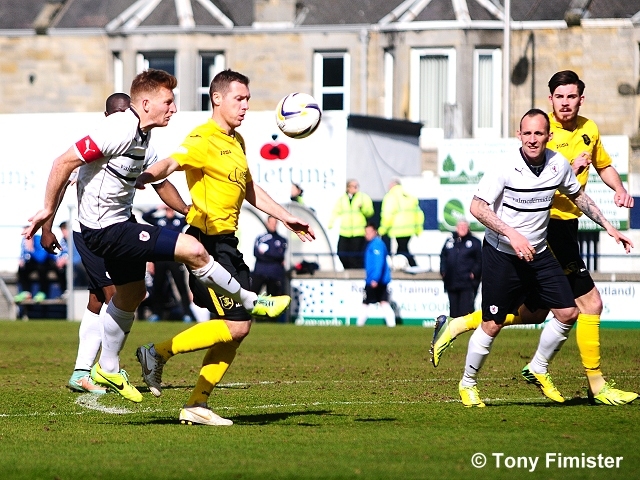 Five minutes later, the goalscorer almost turned provider, in what was a huge let off for Raith. 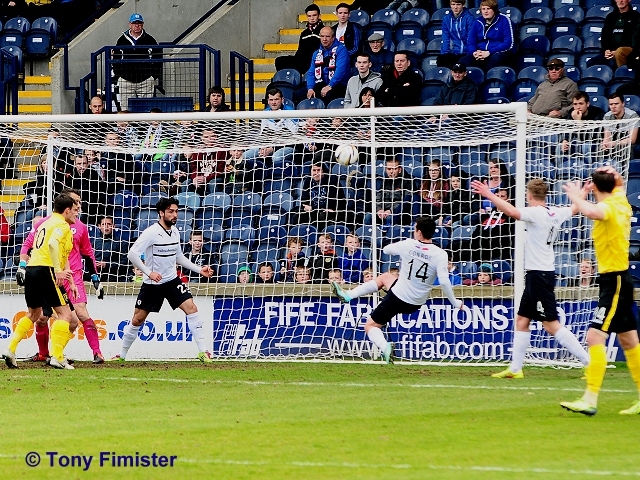 Fordyce’s cross from the left, was met by Talbot, who somehow managed to scoop his the ball over the bar from just a few yards out. 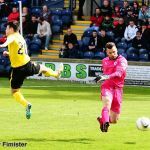 Rovers seemed unable to make the most of their good fortune however, as Livingston continued to dominate the contest. 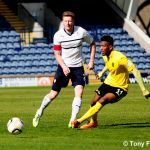 From a Rovers corner, Livingston quickly turned defence into attack, but after Pittman found Hippolyte in yards of space, 25-yards from goal, his first touch let him down, and the chance was squandered. 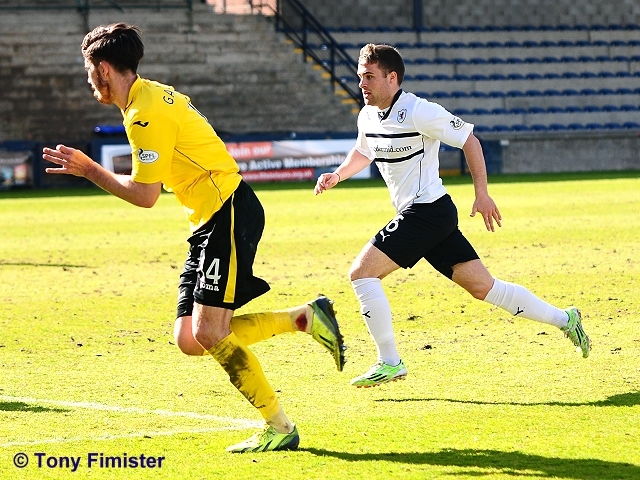 Livingston’s central three of Kyle Jacobs, Burton O’Brien and the aforementioned Pittman in particular were dictating the tempo of the match, and they helped set up the next opportunity as Keaghan Jacobs tried his luck from an angle, but Cuthbert gathered at the second attempt. 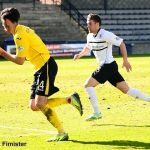 It took Rovers until the 45th minute to test Darren Jamieson in the Livingston goal, and it followed their best spell of possession and build up play, with the ball being played from one side of the park to the other, allowing Ross Callachan a dig at goal, but it was too close to the Livi custodian. 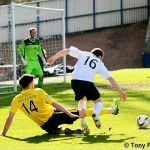 The second period started in much the same vein, when a Kaeghan Jacobs cross was only barely dealt with after it was swung in, and worse was to follow in the 49th minute, as Livingston doubled their advantage. Their didn’t appear to be much danger as Kaeghan Jacob’s free-kick was swung in, but Cuthbert could only palm it down into the box, allowing Craig Sives to slide it into the unguarded net. 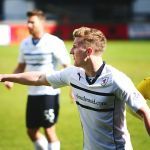 It was the worst possible start to the half, and things were to get even worse from a Raith perspective five minutes later, as they went three goals down, after another self-inflicted goal. 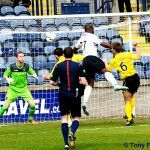 Fordyce was again afforded time to win a header in the box, allowing Mullen to nod home, more or less ensuring the points were safe. 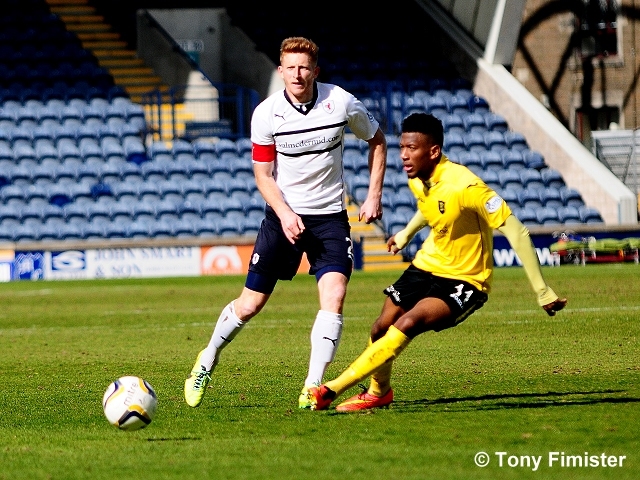 With the game lost, Rovers created a small flurry of opportunities, but they came to nought. 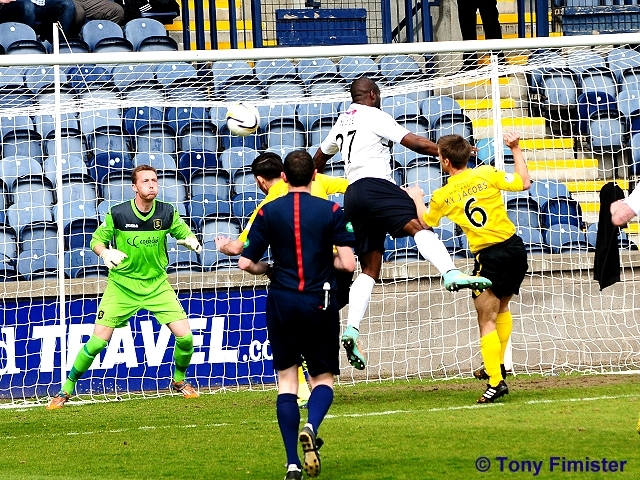 First, Mark Stewart did well inside the area, teeing up McKay but his shot was well blocked by Sives. 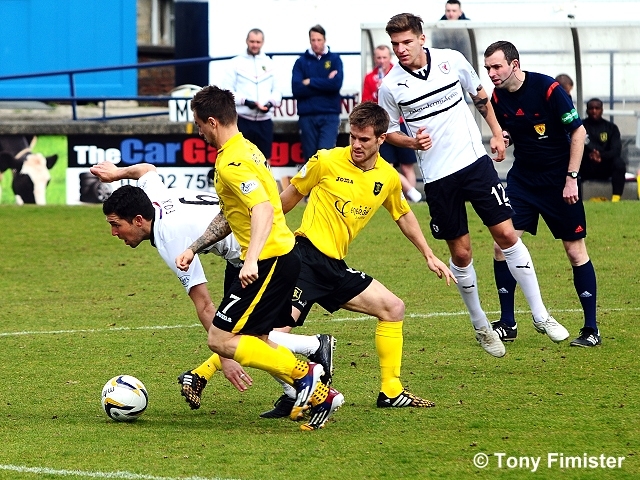 Then Stewart went himself, pursued by three Livingston defenders as he pulled his shot across goal and wide. 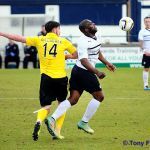 Thomson then got forward down the right and crossed to Nadé, who shouldered the ball down to his strike partner Stewart, whose shot on the turn was blocked a Livingston defender. Despite Rovers starting to at last eke out chances, it was Livingston who would grab the game’s next goal with just under 20 minutes remaining. 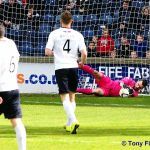 A cross was once again dealt with ineffectively, and as Sives drove it back across goal, Craig Barr steered it into his own net. 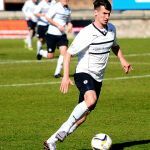 Lewis Vaughan was then introduced with 15 minutes to go, and he won a late penalty after being brought down on the by-line, but after taking the penalty himself, the day was almost summed up, by Jamieson’s excellent save to his right. The 4-0 result means Livingston can potentially finish eight, if they can defeat Queen of the South next week and other results go their way. 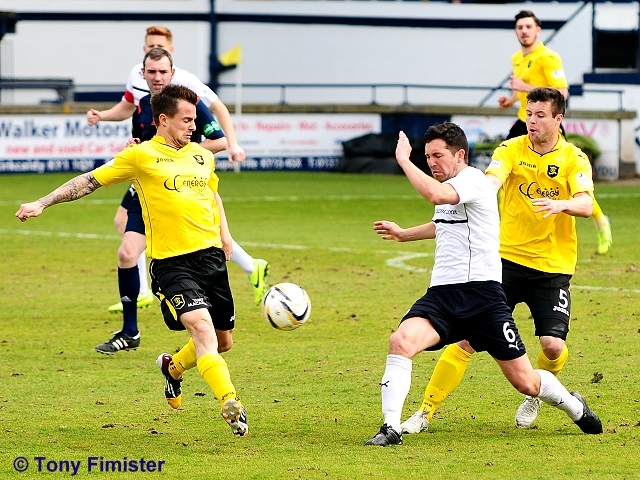 Rovers on the other hand will head to Dumbarton, for next Saturday’s early afternoon kick off. A sunny and slightly cool setting for Rovers last home game of the season. 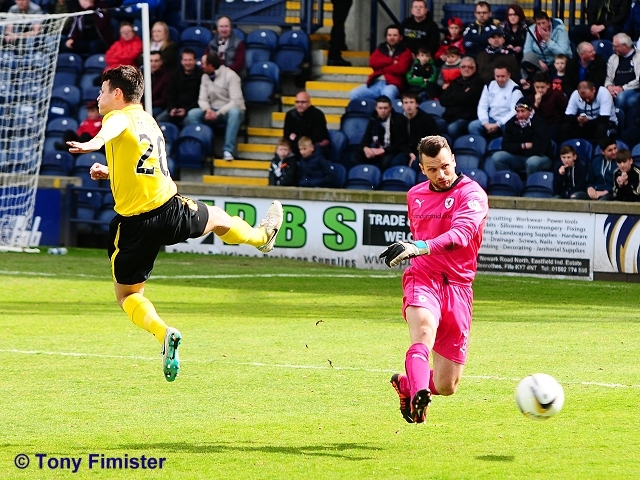 Visitors Livingston need to better Alloa's result at Hibs to retain hopes of staying up. 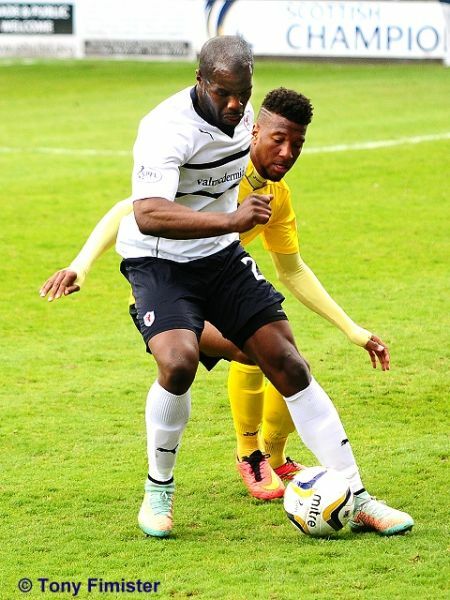 Nothing at stake for Rovers. Through ball Cuthbert races out kicks the ball and it hits the railway stand asst ref!! Elliot hurt looks in a lot of pain. New physio attending and Elliot is moaning to the ref. Physio signals a sub is needed. Conroy free flighted in and Nade jus fails to connect at the far post. Livi distribute the ball well and Ky Jacobs shoots straight at Cuthbert. Long Hipolyte throw Barr clears and Pittman shoots right into Fox's midriff. Ouch! Livi bossing the ball in our half counted 20 passes minimum before Rovers regained possession. 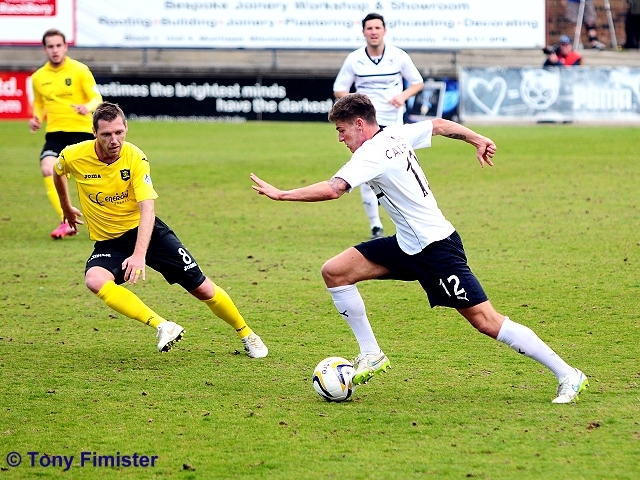 Decent Rovers possession Conroy feeds and Callachan shoots from distance held by a Jamieson. +2 Mullen free but offside. McKay low cross goes out of play. Livi free played in Cuthbert fumbles and SIVES shoots into am empty net. Hipolyte off Glen on....strange one as he's been very good! 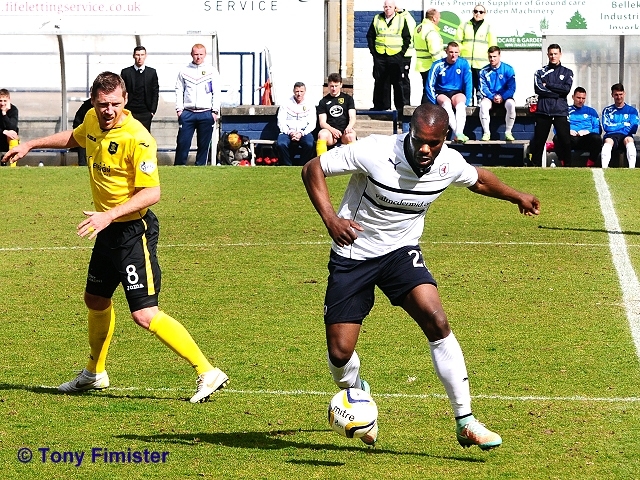 Free headed across by Fordyce and MULLEN glances into the far corner. 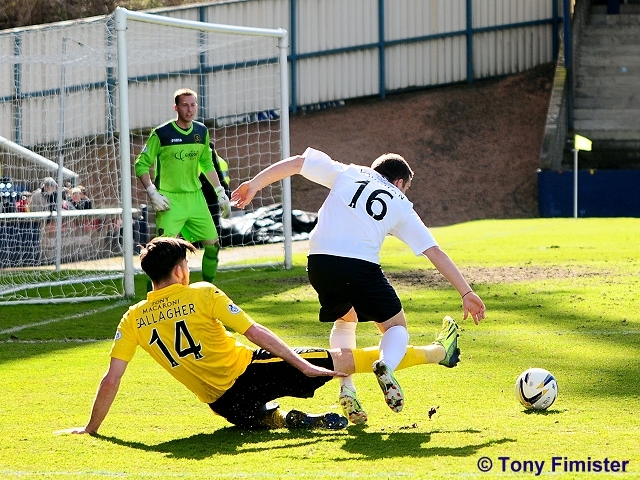 Stewart in space and shoots wide from an angle with Gallagher in close attendance. Goal Livi 0-4 didn't see it. 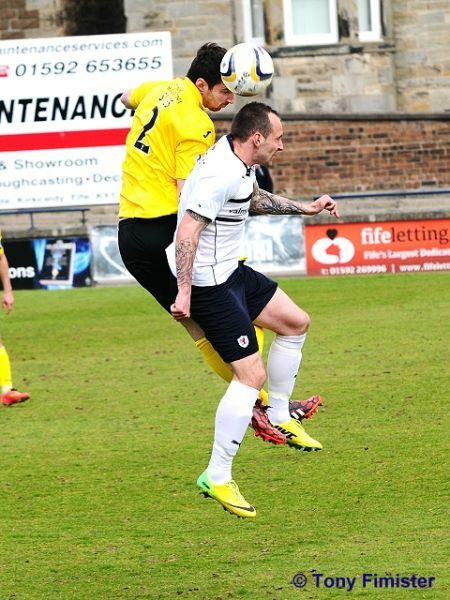 Rovers MoM: Craig Barr. 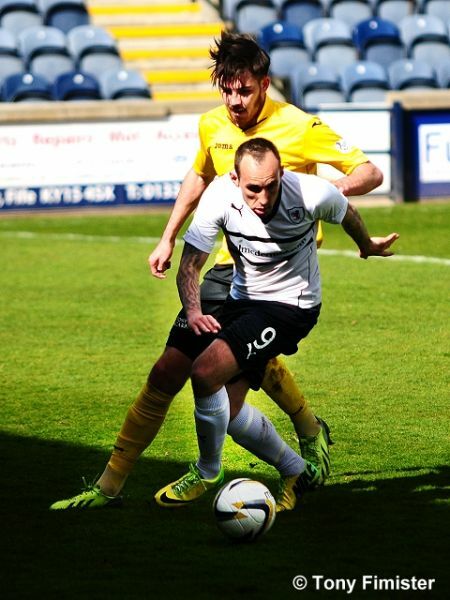 Livi MoM: Kyle Jacobs. 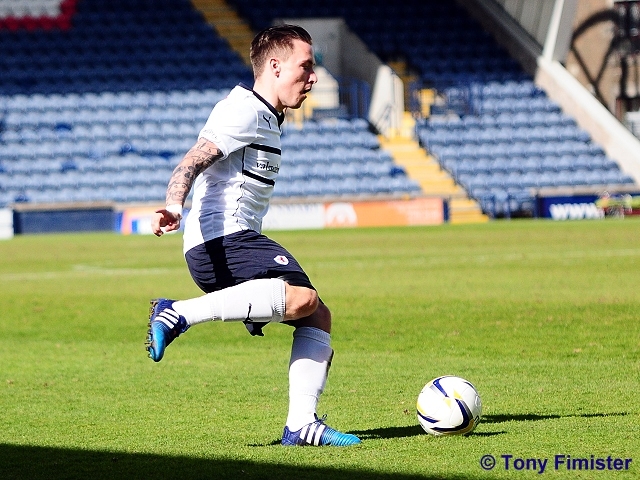 Rovers Player of the Season: Davie McGurn. 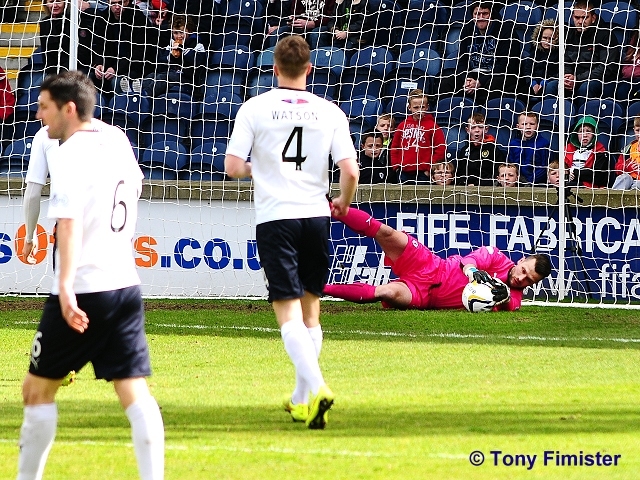 Vaughan penalty SAVED by Jamieson. Rovers: Cuthbert Thomson Watson Barr McKeown McKay Fox Callachan Conroy Stewart Elliot. 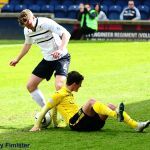 Livingston are the visitors to Stark’s Park this weekend for the final home match of the season, and after losing at home to Hibernian in midweek, Mark Burchill’s men will be desperate to take all three points. A win for Livingston could, depending on results elsewhere, see them leapfrog Alloa Athletic, and move to within one point of Cowdenbeath in the scrap to avoid relegation. However, anything less than a win, could potentially see Livingston’s fate sealed this weekend. 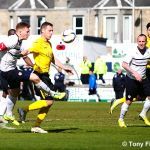 Perhaps surprisingly, Raith have already attained their joint best record in a single season against Livingston during this term, winning six points out of a possible nine so far. The only other occasion Rovers picked up so many points against Saturday’s opponents was the 2000-01 First Division campaign, a season which saw Livingston crowned champions, and promoted to the Premier League for the first time. 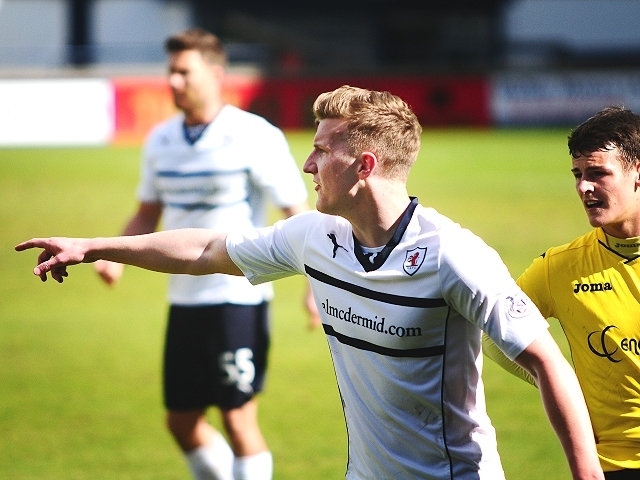 Both Raith’s wins over Livi this season have come at the Energy Assets Arena. 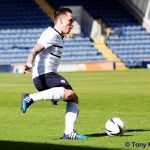 In September, a Martin Scott goal was enough to give Rovers all three points, while in February, goals from Ross Callachan and Lewis Vaughan gave the away side a comfortable 2-0 win. 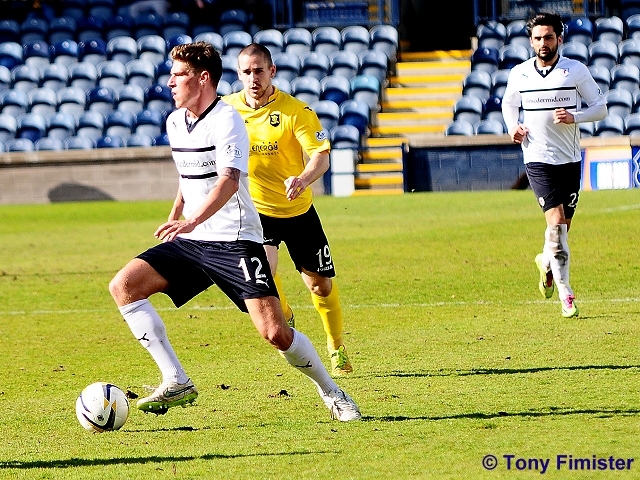 It was a completely different story the last time the two sides met at Stark’s Park in December however, when a dismissal to Ross Perry in the opening few minutes, helped contribute to a 5-1 victory for Livingston, their biggest ever win in Kirkcaldy. 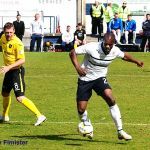 Livingston appear to be a different side to the one which Raith last encountered in February, with the signing of Scott Pittman from Junior side, Bo’ness, adding an extra element up-front, whilst the acquisition of central defender, Darren Cole has bolstered their defensive options. 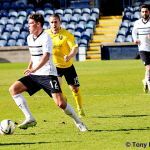 They’ve also picked up some silverware recently, winning the Petrofac Training Cup after a convincing 4-0 win over Alloa Athletic in the final, a confidence boosting triumph, which has helped transform their performances in the Championship, with just one defeat in their last five league fixtures. This vein of form has seen them close the gap on the two teams above them, giving them a realistic chance of survival, something which seemed improbable just a few weeks ago. 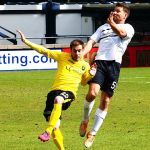 Raith Rovers versus Livingston matches tend to produce a winner, with no games between the two finishing all-square since a 0-0 draw back in August 2012, and in total, only four league fixtures out of 23 have finished level. 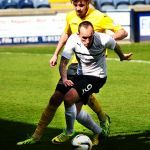 Despite Rovers good record against Livingston this season, their recent head-to-head performance against the West Lothian side is poor, with just three wins from their last ten encounters, compared to Livingston’s seven. 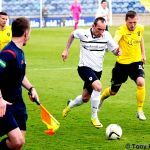 Saturday’s match referee will be Kevin Graham.